Dash cams (cameras which sit on your dashboard basically) are becoming more and more popular among drivers in this country. I have two myself in my taxi, not that I’m a bad driver, it just makes sense. Before you decide whether or not you want to get a dash cam for your own vehicle, you should spend some time considering a few pros and cons of having one, other than the obvious such as price and fitting it. The majority of people who get a dash cam do so because they want to be able to prove that they were driving safely if there was an accident. The footage taken by a dash cam can help to show which driver was at fault, which is helpful when liability is disputed. Most insurance companies will not pay out to their client if they think that their client was at fault for the accident. Filmed footage can help to prove that the client was blameless. This is particularly useful in the event of a “staged” accident, where another person purposefully attempts to “crash-for-cash” so they can put in a whiplash claim as it’s hard to prove whiplash apparently, and anything else they reckon they can get away with. It will also give important details about other vehicles if they flee the site of the accident. 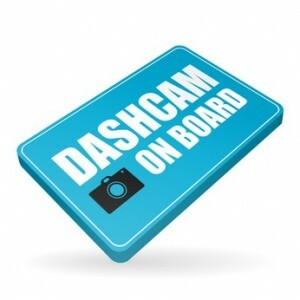 Dash cams can be used to prove the make, model and registration number of the other vehicles involved. This can then be handed to the police for them to “investigate”. Many dash cams are set up to start recording whenever someone comes within a specific distance of the vehicle, otherwise know as motion detection. If you’ve taken the time to disguise your dash cam pretty well some dirty thieves or dirtier vandals won’t realise that they might be being recorded. There have been a number of well-known cases in the United Kingdom alone involving car vandals being identified by dash cam recorded footage. If your dash cam is one that can be accessed remotely, then it may even be possible to view videos of the people who half inched your pride and joy. Dash cams will allow you to re-watch journeys that you have made. Watching difficult manoeuvres back on video can help you to learn from your mistakes and improve your driving in future. Dash cams can also be used by parents as a way to monitor the driving habits of their children (with permission). This can help to make sure that new drivers drive more safely and allow the parents to identify bad driving before isolated incidents turn into bad habits. If however it’s more likely that you’re a person that just likes to drive for the sake of driving, dash cam footage of wonderful roads can be watched and shared purely for pleasure. Especially for new dash cam users, the dash cam itself can be a distraction, especially if you try to change the settings of the device or the way that the device is pointing whilst you are travelling. Anything that causes you to take your eyes off of the road (especially in the summer, right lads!) can be dangerous to you, and you should keep your full concentration on the road at all times. Failing to do this can actually result in a serious accident. There have actually been incidents involving people fiddling around with their dash cam to ensure that it catches footage of a “dangerous driver”, only for that person to actually get into an accident instead whilst they were distracted. Gods honest. As well as showing your insurance company that an accident was not your fault, it may also show them that you were to blame for an accident. If you have footage that shows that you were at fault and you fail to submit it because of this, then you may be considered to be committing insurance fraud. In this respect, having a dash cam can leave you between a rock and a hard place.